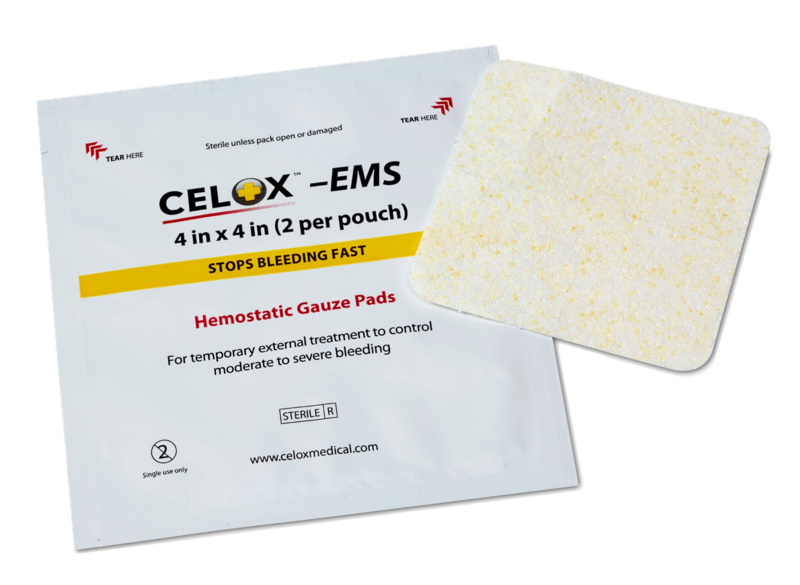 The versatile, fast-acting solution to bleeding injuries designed for EMS providers. Millions of Americans take anti-platelet drug Aspirin regularly and 18.1 %13 of the population aged 65 or over take oral anticoagulants, affecting the body’s complex clotting cascade. 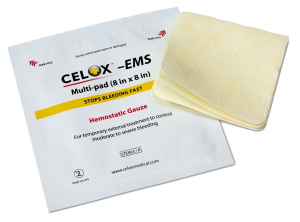 Mineral based hemostatic agents work by accelerating part of the clotting cascade and this approach may be less effective if the rest of the cascade does not function normally. However this is not the case with Celox which works independently of the body’s clotting mechanism. For quick economical solution to bleeding injuries. Each pouch contains two 4×4 inch pads. The versatile hemostatic dressing. Pre-scored folded 8×8 inch pads that can be packed together into wounds or quickly torn into four separate 4×4 inch pads to fit smaller injuries. 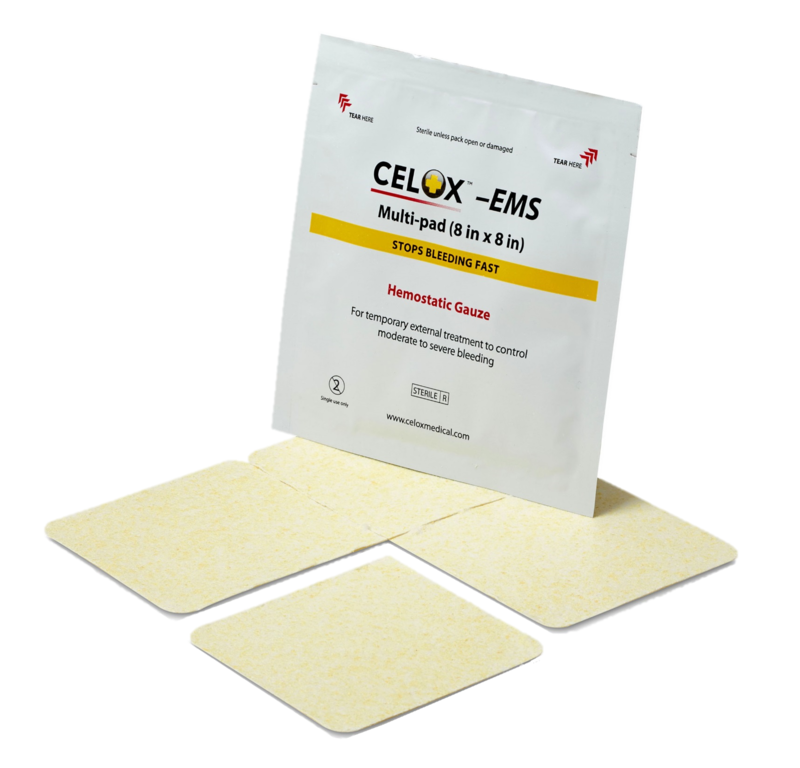 Celox EMS 8×8 inch Multi-pad is perforated so it can be used as a single pad or torn into smaller pads as required.